One of the biggest things about Star Wars: The Last Jedi is the introduction of maintenance worker Rose Tico. 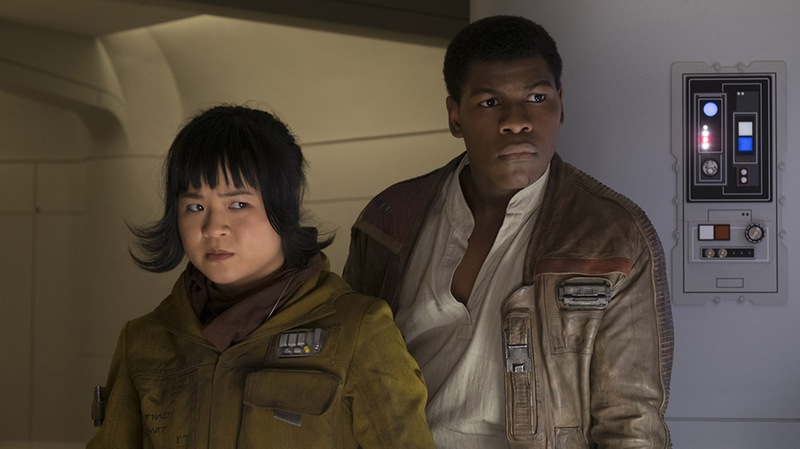 She's the first Asian-American lead character in a Star Wars movie, and she's played by Vietnamese actress Kelly Marie Tran. Tran only started her career in 2011, and this is her first major role after spending years in small roles on short films and TV shows. Her only movie credit is "Butterfly Rave Girl" in 2016's XOXO. Before she was cast, Tran was seriously considering quitting the industry because of all the rejection. Star Wars: The Last Jedi is also a highly anticipated movie among fans of the series after the critically acclaimed Star Wars: The Force Awakens. Any of those facts may have been the cause for Tran crying tears of joy on the red carpet for Star Wars: The Last Jedi, but her tears were all of us. Once again, we're reminded of the importance of casting unknown actors in major roles, knowing this could be a life-changing opportunity. It's also important to cast people of color to inspire new generations. We'll never know how many Asian-American boys and girls might see Rose Tico and have a moment of identity they've never had before, just like Nichelle Nichols inspired a generation as Uhura, and Daisy Ridley has inspired girls with Rey in Star Wars: The Force Awakens. Besides, how many of us would be crying getting to stand on a red carpet with literally iconic actors, about to watch a movie that's been anticipated for years? Are you excited about Star Wars: The Last Jedi? 5 Huge Changes to the DCEU Since "Justice League"